While at first glance the name may conjure up an image of 'Volleyball teams and cheerleading squads' as suggested by 20jazzfunkgreats, others read a military connotation - some kind of legendary all female American crack squad. Whatever the impression, the first listen suggests a divergent story. In truth, U.S. Girls is the creative force of a lone American woman, Meghan Remy. In 2008, Remy began recording her solo project at home, surrounding herself with a myriad of different instruments and equipment: microphones, a busted drum machine, a failing four-track, an old reel-to-reel player and other less-than-cutting-edge electronic devices. She has pursued minimalist aesthetic with a militant by-any-means-necessary attitude, merging her experimental compositions with her distinctive photocopy-art visual aesthetic to deliver starkly defined statement LP's like her debut 'Introducing' & sophomore 'Go Grey' on Siltbreeze Records. While Lo-Fi recording techniques have seen something of a renaissance in recent years, Remy's favouring of this approach was born less of aesthetic choice and more out of necessity. Even as she's inevitably been lumped in with other DIY solo artists such as Inca Ore and Sally Strobelight, her influence has unwaveringly been declared to lie with oldies radio and the distinctly American songcraft of writers like Tom Petty and Bruce Springsteen (whom she covered to startling effect on Introducing?-). It's in this light that her true vision is revealed. While her music has been said to evoke "particularly blunted Lee 'Scratch' Perry remixes of Cambodian Rocks covers of western pop tunes," (Artforum), more accurately she can be thought of as an unapologetically modern pop revisionist merging the audible artistic honesty of her beloved soul music with lyrical strains of static and tape hiss. Songs like 'Bits & Pieces' and 'Red Ford Radio' reimagine Billboard hit singles of the 60's as bleakly rendered expressions of a primal American femininity. 2010 saw an unexpected turn for the entity of U.S. Girls. Contradicting her patriotic moniker Remy spent 6 months in collaboration with Canadian artist Slim Twig whose combination of reverence for, and divergence from classic pop tropes matched her own. The release, on Palmist Records saw a new direction for Remy, the shroud of abstraction surrounding her songcraft was somewhat lifted to reveal a consciously produced sound with her strikingly original voice now at the centre. Co-produced by Remy & Slim Twig, the new direction saw U.S. Girls take American pop head-on with a cover of Joe South's 'Untie Me' while pursuing innovative future-music with the psychedelic 'Pamela + GG'. Since the release on Palmist Records, U.S. 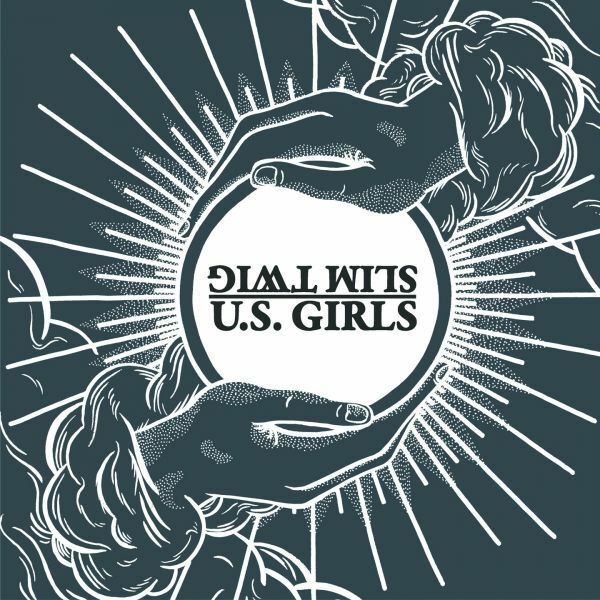 Girls has released a full-length LP, 'U.S. Girls on KRAAK' on KRAAK Records in October, and has joined the ranks in FatCat Records roster.